Dogs on the Job introduces you to the working dogs of New Zealand. Have you ever wondered what type of working dogs there are in New Zealand? What sort of training these dogs have to go through? Whether your dog might qualify? 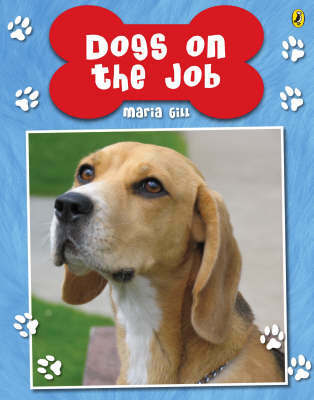 Author, Maria Gill, interviews dog handlers and observes dogs on the job: Meet an acting dog going through the moves for an advertisement; see a mobility dog picking up the keys for his handler who is in a wheelchair; find the search and rescue dog that can trail scents 24 hours old; and read about more dogs on the job in this engaging book. 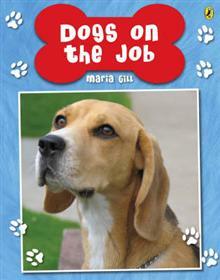 Maria Gill, ex Primary teacher and full-time author, writes children's books about birds and conservation for children. See more about Maria and her books on her website www.mariagill.co.nz.